If you’re going to visit the historic Polish city of Cracow (also written Krakow), here’s the short list of the top attractions that families should visit. 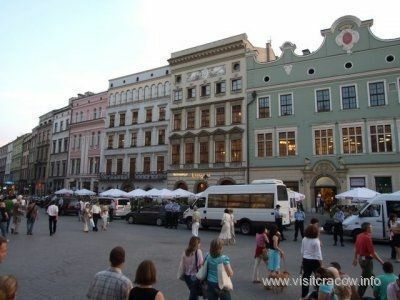 – Learn about Jewish Heritage at the Center for Jewish Culture- 17 Rabina Meiselsa St.
– Rynek Glowny – This is a huge, walkable plaza in the heart of the city with many cafes. Listen out for a trumpet signal that’s played on the hour to commemorate a trumpeter killed by a Tatar arrow in 1241.